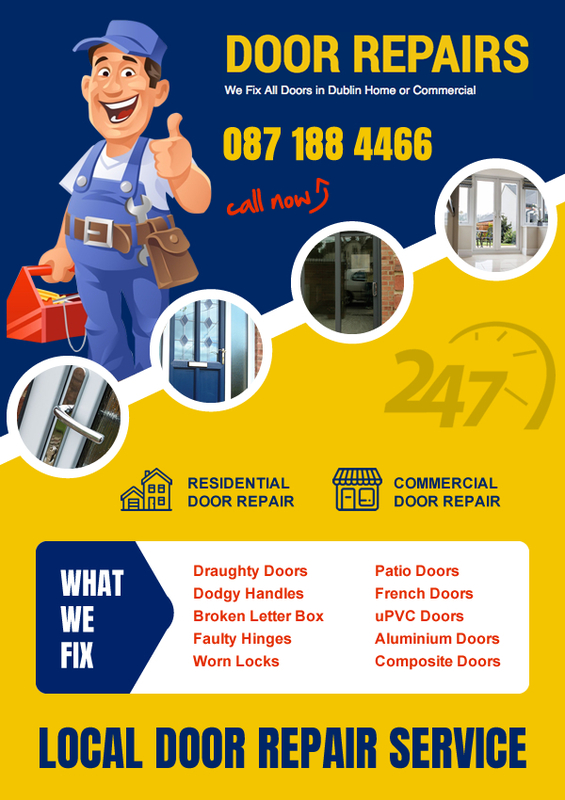 Are You in Need of a Mobile Door Repairs Blackrock? Well you have found the right place! Get your door adjusted, repaired, or replaced by one of our efficient door repair men. Fixing of damaged doors, frames, locks, hinges, letterboxes or handles is what we do best. Locked Out in Blackrock? We can come to you and open your door damage free! We offer an 24 hour emergency door repair service in Blackrock and can repair locks and lockouts on doors to keep you secure anytime, day or night. All our vans are fully stocked so we can carry out immediate 24/7 door repairs any where in Blackrock 24hrs a day on 087 188 4466.